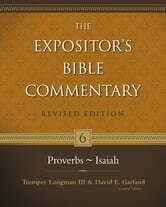 This is a completely revised edition of Gold Medallion Award-winning Expositor’s Bible Commentary. This revised commentary has undergone substantial revisions that keep pace with current evangelical scholarship and resources. Just as its previous edition, it offers a major contribution to the study and understanding of the Scriptures. Providing pastors and Bible students with a comprehensive and scholarly tool for the exposition of the Scriptures and the teaching and proclamation of the gospel, this ten-volume reference work has become a staple of seminary and college libraries and pastors’ studies worldwide. 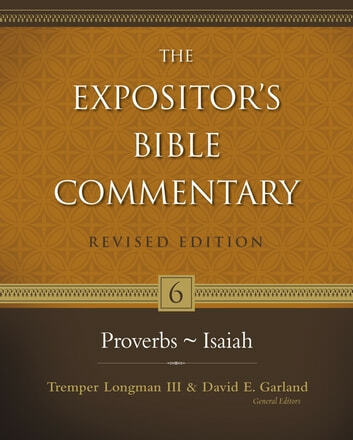 Its fifty-six contributors—thirty of them are new—represent the best in evangelical scholarship committed to the divine inspiration, complete trustworthiness, and full authority of the Bible.As before, The Expositor’s Bible Commentary features full NIV text, but also refers freely to other translations and to the original languages. In addition to its exposition, each book of the Bible has an introduction, outline, and an updated bibliography. Notes on textual questions and special problems are correlated with the expository units; transliteration and translation of Semitic and Greek words make the more technical notes accessible to readers unacquainted with the biblical languages. In matters where marked differences of opinion exist, commentators, while stating their own convictions, deal fairly and irenically with opposing views.